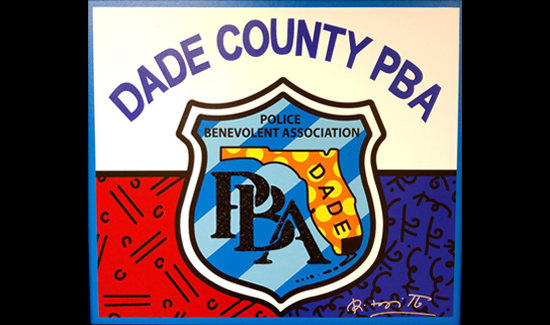 Here at the Dade County PBA we decided to do something different to ease tensions between the police and the community. We are creating a music video and we need you to send any videos or photographs to help make the project a big success. We are especially interested in getting pictures and videos from associations and unions in Canada, Australia, and elsewhere. The first of its kind, this music video is designed to use the arts through song to help build harmony and trust between law enforcement and the community. We also want to show the world the mutual respect law enforcement has for the citizens we serve. The song’s theme will also focus on the importance of respecting law enforcement as we do our work to protect the citizens we serve. Pop star Jon Secada was gracious enough to come on board. Jon wrote the song titled “The Line of Duty”, which is co-written by Grammy award winning songwriter and producer, Joel Someillan. Jon is also lending his talents as the solo vocalist. Secada has won two Grammy Awards and has sold over 20 million albums. His music fuses funk, soul, pop and Latin percussion. Secada also has worked as a songwriter for Gloria Estefan, Jennifer Lopez, Ricky Martin, Mandy Moore and other performers. He has performed with opera legend Luciano Pavarotti and recorded a duet with Frank Sinatra on “The Best is Yet to Come” from Sinatra’s Duets II album. In 1995, Secada starred in Broadway’s hit musical Grease, playing the lead role of Danny Zuko. Broadway called upon Secada once again in 2003, where he played the emcee role in Sam Mendes’ acclaimed version of Cabaret. In the fall of 2004, Secada also starred as ‘Joseph’ in Andrew Lloyd Webber and Tim Rice’s theatrical hit Joseph and the Amazing Technicolor Dreamcoat. We are looking for footage of significant events depicting law enforcement at its best, whether dealing with a tragic situation or doing good deeds. If you don’t have footage, dramatic, emotional pictures could make the final cut. It could be of an unusually large graduating class, or officers carrying or consoling a victim, searching for survivors at Ground Zero, playing or interacting with children, or rescuing animals. Any picture or idea that evokes emotion and shows law enforcement in a positive light is welcome. The PBA is seeking to showcase officers from different law enforcement agencies across the United States, Canada and other countries. All videos must be 1080 HD. Photographs (jpegs) must be high resolution. Please DO NOT send copyrighted videos or pictures that you do not own or have not created. Please email your videos and pictures to Stephanie Womble at Stepahnie@dcpba.org or you can mail me the material at the address below. For those of you who have videos posted on YouTube, send Stephanie the link. Our goal is to have the project completed by November 1st, so please send your videos and pictures as soon as possible. Thank you in advance for your help. Together, this is going to be a great project with lots of positive PR for all of our law enforcement officers both here in the U.S. and around the world. Please get in touch if you have questions or need more information.